jdaw1 wrote: Bottle seen during a visit to the Wine Society. Is it possible to acquire such a bottle? There are lots of empties around the office, many of which have obviously been there for decades. If your really wanted to acquire the empty, well you could ask. If you want what I would want, the answer is negative. Sorry. jdaw1 wrote: If you want what I would want, the answer is negative. Sorry. Kempinski of Amsterdam, catalogue of November 1961, ‟Graham’s crusted Port Vintage 1950”, ‟hoogfijn, liquoreux”, at Æ’11. ..I recently had the chance to try the latest Crusted to be bottled, the Niepoort 2011; with a sample drawn from the feed tank on the bottling line. A good, rich, well rounded wine that should show well after the required bottle aging. Most of the Niepoort 2007 crusted has now been shipped, and the remaining bottles in the lodge are all spoken for, we were told; so further bottlings would seem likely. Don't think that qualifies as a crusted, as most of the constituent stock would have become tawnies.. I thought likewise (not Crusted, interesting). The double-barrelled name also liked. jdaw1 wrote: The double-barrelled name also liked. Absolutely - One can only assume that a Mr Logan met a Miss Logan and had great aspirations to grandeur! All that we know of this blend was posted above. The price difference is surprisingly small. Fonseca 2006 on sale now in the UK. There seems to be a general slowdown in the release of Crusted. Churchill started selling their 2000 in 2005, but seven years later have not got past 2004, although they told me they bottle every year. Other producers seem to be following a similar trend - no bad thing IMO.. This is likely to be through an excess of stock/lack of sales rather than an intentional strategy. So long as they keep making it. Would diverting port to the LBV and single quinta ranges be a better revenue earner? Not sure - sales generally are down, but there seems to be increased interest in the Crusted style. There was an upset in the early nineties when the IVDP briefly deleted Crusted as an official style of port, and it may be that companies were releasing bottles early due to a lack of aged stock. Niepoort sold out on their first bottling in no time at all, once Dirk decided to release it; and they are now taking it very seriously. It's a pity that the published IVDP data online only gives the most recent data, without any historical data to put it into context. It would be interesting to see some sales graphs, to indicate which styles of port are gaining popularity, and which are in decline. Yeap, a shame they don't break it down by actual type of Port (i.e. Crusted, VP, SQVP, Colheita, LBV, etc). I know this would have been a lot of work back in the day but with modern technology it can't be all that hard to compile from producers. 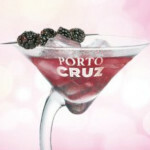 a shame they don't break it down by actual type of Port (i.e. Crusted, VP, SQVP, Colheita, LBV, etc). All that is lacking is the historical information to tell you where the numbers are heading.